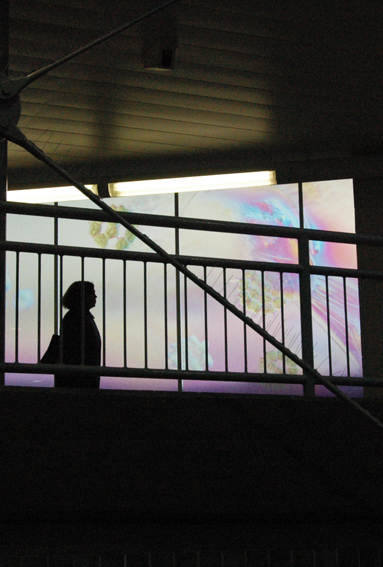 In 2010 I was commissioned to produce a site specific installation in Gateshead Town Centre. The brief was to produce a vibrant contemporary art installation that would engage the public while also inject some life and energy into the town centre. This was a great opportunity to show case my microscopy photography on a much larger scale. 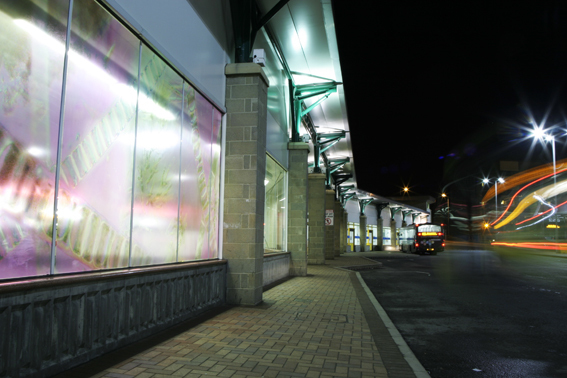 The sites that I selected were three Adshel light boxes (usually used for advertising purposes) and 11 meter long stretches of window glazing in the Gateshead Interchange. 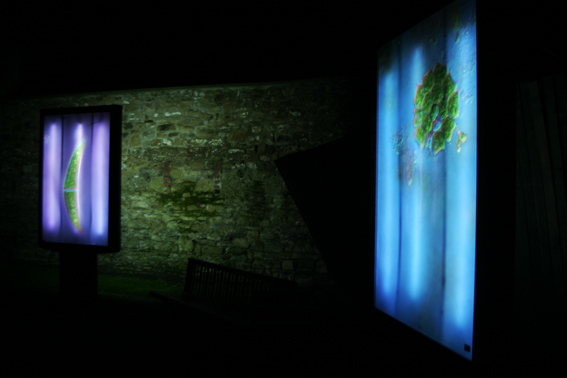 Below are a series of images from the installation which was installed for about 11 months. In 2010 I applied to exhibit my work in a small unique space called The Gallery of Wonder. I met with Irene Brown who curates and runs the space on Newcastle Universities Campus. We discussed my work and in September 2010 I carried out a solo show called The Art of Desire. This was a relevant and exciting opportunity to produce a body of work relating to my School of Biology residency at Newcastle University. At this stage it was important for me to take the imagery that I had produced and generate some public engagement. My interest in the structures of plant specimens was primary, however during the residency it came to my attention that an area of research was being carried out to explore the extraction of oil from Algae to make an alternative fuel source. Dr Gary Caldwell became my point of contact at the University, and he was a fascinating resource of information, and continues to be. It struck me that there were some areas to explore regarding environmental science and consumer culture. I decided that I wanted to produce a series of works for GOW to explore these themes, and therefore it became appropriate to research methods of display, product design, resin fusing and digital printing. I produced a number of individually hand crafted items. From jewellery to soft furnishings. The processes were used as a means to re-present the imagery in an unorthodox environment, and the connection between the intention of my practice and the context of The Gallery of Wonder was a perfect fit. Below is a slide show of a selection of works that I produced for the show.